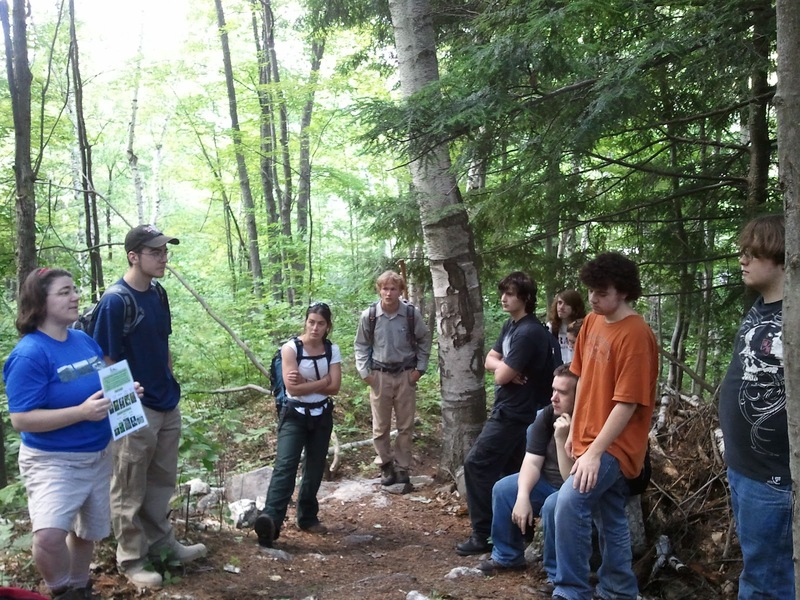 July 2 marked the first day of the AMC/NH-JAG Trails programming in Berlin, NH. The group of students participated in the day-long orientation to their summer work experience. 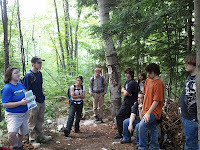 We were pleased to see that 50% of the students were part of the AMC/NH-JAG program last year! After covering programmatic expectations, the summer schedule, and discussing tools and safety we headed out on the trail. The returning students were excited to share stories from the crew work last year to the newcomers to the crew. With great pride they talked about the rocks they rolled, the trail structures they built, and the trees they cut and dragged all through the hottest part of the 2011 summer. The trail is in excellent condition after it's first winter, as well as proving to be a popular local hike for the community. In addition to walking over the trail and identifying projects for the summer, the students were joined by Georgia Murry, AMC Staff Scientist. 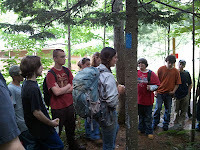 Georgia will be working with all of the JAG students in Berlin and Woodsville incorporating environmental education, climate change studies, and citizen science to fulfill the JAG students' educational requirements. We are all looking forward to the next four weeks working with these outstanding youth from Berlin High School. We will see you on the trails.